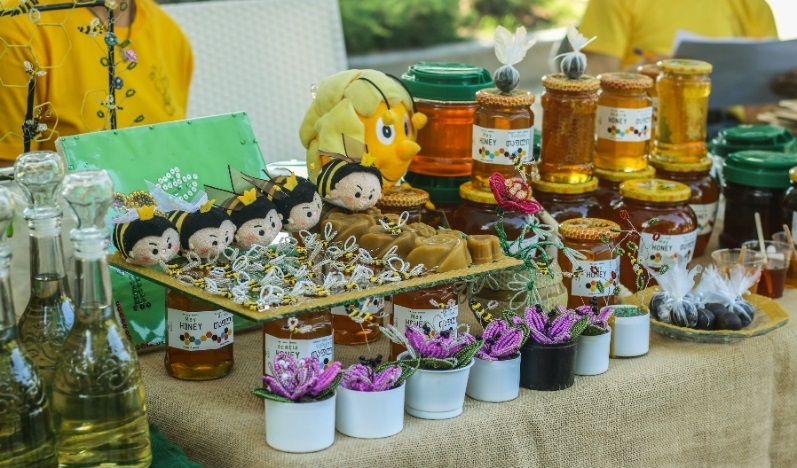 The annual Honey Festival was opened for the fourth time on August 11th on Batumi Boulevard and closed on August 12th in Batumi Botanical Garden. Up to 45 beekeepers from across Georgia once again presented their honey and by products for the festival visitors. Honey themed activities were held for children’s entertainment; visitors could see the ancient beehive at the special corner for jara beekeepers from Ajara and could taste different kind of honey from different parts of Georgia. Batumi Botanical Garden promoted Goderdzi Alpine Garden; live music kept the celebration spirit all day. “Beekeeping is our family business. We started participating in the festival from the very beginning and it became a tradition. Each year we promote our products and each year we find new clients. This annual festival helps us to make our products more visible and popular” - Shorena Kezheradze, Khelvachauri municipality, Ajara. “I have attended the festival in Batumi for the 1st time and the most important thing was linkages made at the festival. I’ve seen many new things, for example, Jara beehive and original packages for honey jars. These things made me think of new ideas how to advertise my product” - Tatyana Bulya, Zugdidi municipality, Samegrelo. This year full sustainability was attained when the Ministry of Agriculture of Ajara officially allocated a budget for the festival with its N(N)LE Agroservice Center as the co-organizer of the festival along with the Ajara Beekeepers Business Association (ABBA) under the Ajara Chamber of Commerce and Industry (ACCI) as the main organizer. “The festival is very important for promoting farmers and their products. 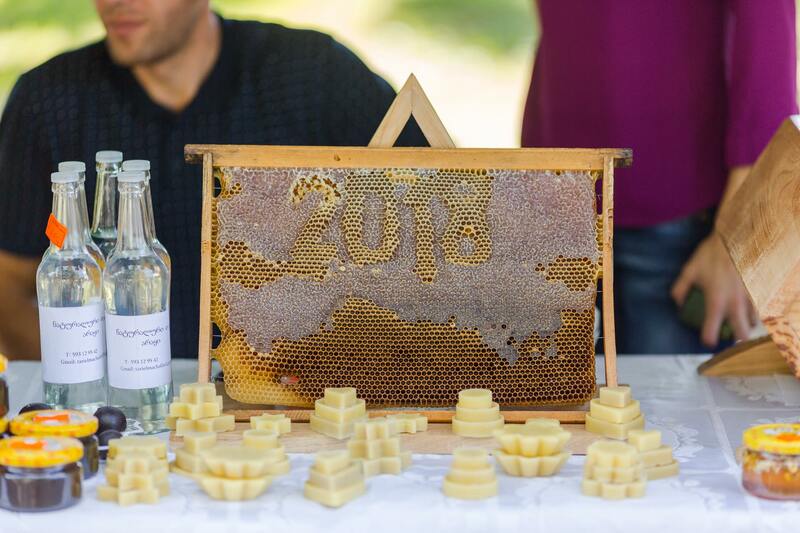 The Ajara government supports such events to facilitate farmers and local honey producers to expend their businesses, make linkages and exchange experience among one another” – Tornike Rizhvadze, Chairman of the Government of Ajara. “As we see, this year the festival is larger in scale and more organized in terms of labeling the product. Packaged, labeled and certified product is a step forward to the European and international market”. – Tite Aroshidze, Minister of Agriculture of Ajara. Follow the Link of Adjara TV news on the event. On 21st of May a meeting was held with Shorena Bziava, Gender Equality Council secretary at Georgian Parliament in Kutaisi. Alliances KK representatives introduced the programme Gender activities - a new municipal service Women’s Room and Guidelines for the Village Reps.
Mercy Corps, Alliances KK has contracted “Eco Films” a Georgian independent wildlife film company to create a documentary about shepherds of Kvemo Kartli region. In the film “Two Week to Reach the Clouds” the process of animal movement from winter pastures in Kakheti to summer pastures in Kvemo Kartli will be depicted following a herder family during two-week-long trip from the lowlands to the highlands. The aim of the documentary is to show the cultural-traditional context of Georgian sheep farming based on the example of one sheep farmer family and its herd. The film will also show social as well as economic importance of the sheep migration and associated problems within the context of Georgia’s diversified nature and landscape. The Feasibility Study for the Animal Movement Rout and animal disease notification and control, two key topics were discussed on the 4th advisory committee on the 29th of March. At the beginning of the meeting the Alliances KK Programme Director Ms. Helen Bradbury provided a brief presentation concerning the interventions of the programme. 4 Beehives and their inhabitants from the high mountains of Ajara started their new life on the terrace of one of the largest Hotels in Batumi, Georgia, the Hilton Batumi, to produce honey for hotel guests. The General Manager of the Hilton, a keen birdwatcher and conservationist had the idea, seeking to showcase the beautiful countryside of Ajara and take this first step in illustrating the story of locally sourced food and the people who produce it. By linking the hotel with the Ajara Beekeepers Business Association, the hives were installed. Urban beekeeping is increasingly popular in Europe as bee colonies decline and new ways are sought to develop a more ecologically sensitive lifestyle as urban centers grow. The Hilton also installed a honey showpiece at the breakfast buffet, of mounted honey comb, a large map of the 10 honey production gorges of mountainous Ajara and the indigenous flora on which the bees feed with the honey and comb sourced through honey producing company Matchakhela Ltd. These initiatives which form a part of the ALCP programme’s work in the honey market system illustrate the great potential of the honey sector to feed into the promotion of Ajara as a great and varied tourist destination. Income received from the Hotel hives will be donated to children in need in the rural municipalities. News travels fast and perhaps other hotels may take up the initiative now it's been advertised through the Hilton chains newsletter. Khelvachauri Women’s Room is taking its first steps in helping women access public resources voice their opinions and participate in local self-governance. The Women’s Room model that is being replicated in Ajara was first established in three municipalities of Kvemo Kartli from 2012 and subsequently in all municipalities of Kvemo Kartli and Samstkhe-Javakheti. The first opened in Batumi with the Association of Business Women of Ajara (ABWA) in the Ajara Chamber of Commerce and Industry (ACCI) was the first of all a new type of urban and business based women’s room, with the ideas of providing business trainings and an urban connection for the municipality based women’s rooms already opened in Keda, Shuakhevi, Khulo and Khelvachauri municipalities and soon to open in Kobuleti. The rooms are proving popular with these WR’s already providing more than 1200 services in three months. The Women’s Rooms are a municipal service, a resource and consultancy space for facilitating open dialogue between local society and municipality officials, aiming at promoting women’s participation in the decision-making at the local level and increasing their access to municipal information and services including on health care and agricultural programmes. Women’s Rooms also offer a platform for trainings and meetings, supporting new initiatives and instilling women’s active participation. The space has been taken up quickly with the Association of Young Lawyers and the School of Democracy using the rooms to raise women’s awareness on human rights, economic and educational opportunities. Visitors can use library and internet for free. All of the Women’s Rooms in Ajara are easy to access on the first floor of municipality buildings and can be freely used by people with disabilities for meeting with Gamgebeli and other officials to speak about their issues. 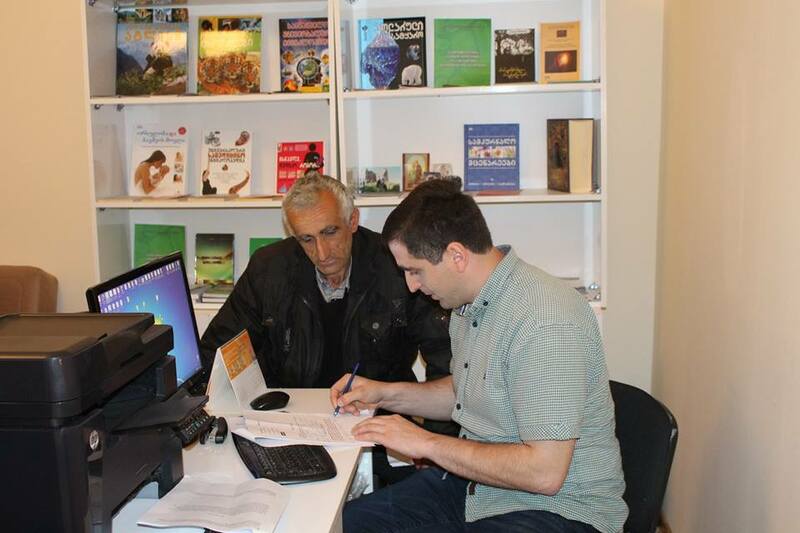 Gamgebelis hold weekly meetings with local citizens in the W’s Rs. A Free hotline number (Khulo 0 800 100 109; Shuakhevi 0 800 000 008; Keda 0 800 100 103; Khelvachauri 0 800 100 106) allows rural women to voice their issues in the Gamgeoba. Women’s Room coordinators and municipal Gender Advisors, were trained on the importance of women involvement in decision-making using guidelines on The Application and Implementation of the Law on Gender Equality of Georgia by local self-government bodies to increase women’s participation in the community meetings, that was resulted in significant increase from 3% (2014) to 33% (2016) of women’s participation in these meetings. 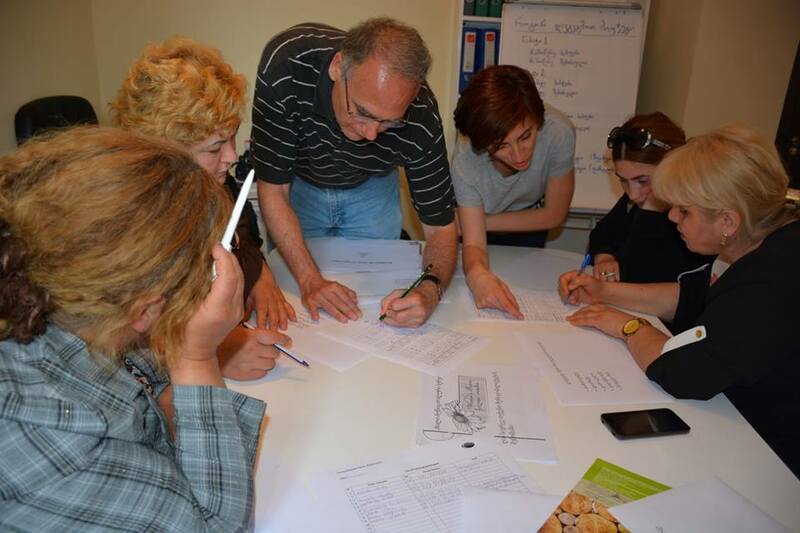 To find out more about W’s Rs ongoing activities, visit Ajara (Batumi,Khulo, Shuakhevi, Keda, Khelvachauri), Kvemo Kartli (Dmanisi, Tsalka, Tetritskaro, Rustavi,Marneuli, Aspindza) and Samtskhe Javakheti (Akhaltsikhe,Adigeni, Borjomi ) W’s Rs Facebook pages.